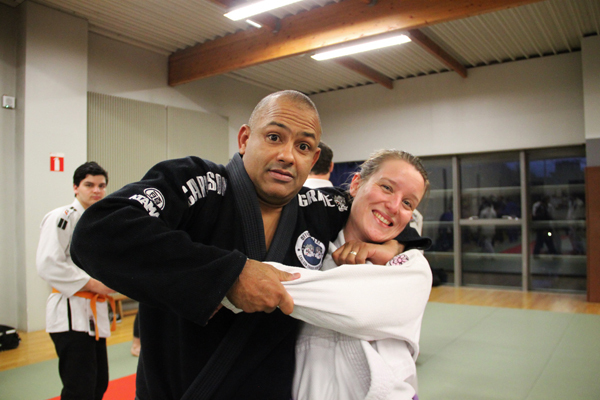 Mid November I had the chance to meet Ari Galo during a seminar organized by my team Infini Jiu-jitsu (Strasbourg, France) and the Coelhao Team, a neighbouring german BJJ academy. 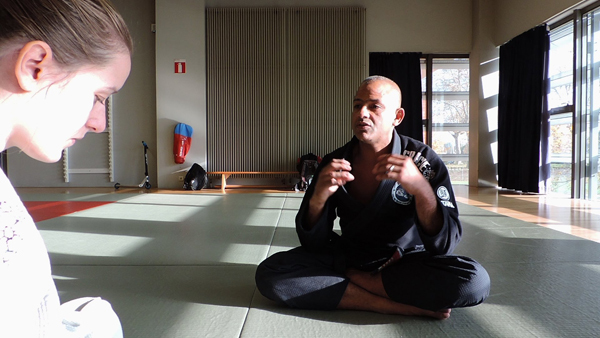 An opportunity for me to do my first interview of a brazilian black belt mestre under Carlson Gracie. Ari Galo gladly accepted to answer a few questions before the beginning of the seminar. Famous BJJ people like Carlson Gracie Junior or Ricardo Liborio say that you are able to create great people and athletes. How do you do ? Which advice would you give to other trainers? You know, I am in jiu-jitsu since I am 18 years old. I started to train with Master Carlson Gracie who taught me many things about jiu-jitsu but also about the life outside the mat. He showed me how to create nice people by bringing them together like a family. I spend a lot of time with my students and try to pass the Carlson Gracie philosophy on to them. Sometimes I am more than 6 hours a day at the academy. I show techniques but sometimes I stop and speak of things about life. For me this is the secret. You have many academies around the world. How do you do to spread this philosophy and these values? The first thing I do when I visit academies in different countries is looking how the guys feel and do jiu-jitsu in order to understand them. Then I try to pass on my jiu-jitsu and through BJJ to gather everybody like a family. I traveled in Italy, Germany, France, Luxemburg, Arabia… All these countries have different cultures. So during my class I try to make everybody understand one language, to create a friendly atmosphere. I pay attention to it and if I see that people are spending a good time I show my jiu-jitsu and speak about my life. As a coach, what is your biggest pride? When I stay somewhere I try to pass on my best on the mat but not only. Indeed people don’t know me outside the mat. So I am proud of everybody feeling happy and safe in jiu-jitsu. I like to help people to manage to do difficult techniques, to see people happy on the mat. If you could go back into the past and change something in your career, what would you do differently? I would compete more and stay more with my family. I have a 19 year old daughter and I started to travel and spent a lot of time around the world when she was only 1 year old. If you could change something in the current BJJ, what would you do ? I would like to see more friendships in jiu-jitsu. Nowadays the academies keep their techniques and don’t share them to other teams. I would like to see people share and spend more time together, teams like Carlson Gracie, Gracie Barra, Alliance or Checkmat train together. I would like to see lesser differences between the academies. A family-like atmosphere. That’s what I appreciated during the seminar. For me the secret is the fact that Ari Galo is accessible and fully dedicated to its students. I was in charge of taking pictures during the seminar and sometimes I had difficulties to take pics of him because he never stopped walking across the mat to look if they were doing the techniques right, showing them again severals times if needed. I saw during the seminar what he described in this interview. Thank you Ari Galo for the interview and for your teaching.